There is a fundamental disconnect between most companies and their vendors. Once a vendor delivers their goods and/or services, they would like to be paid as quickly as possible. Conversely, most accounts payable officers like to wait as long as they can before paying invoices received from their vendors. This payment delay makes their company more profitable as it enables them to use their money for a few more cycles before the inevitable pay out. To remedy this situation, most vendors offer a discount for prompt payment. Unfortunately for both, very few companies take advantage of the discount offer. The Vendor Insta-Pay Program (VIP) allows you the ability to (have us) pay your chosen vendors one day after their invoices are approved by you without using your money and at no cost to you. You can then wait to pay (us) on an agreed upon timetable. How do we do this at no cost to you? The prompt pay discounts offered by your vendors will pay for the program. You then reimburse us on an agreed upon timetable. The whole program is implemented in days and requires no additional human resources. Why would we implement the Vendor Insta-Pay Program at our company? Profitability: It is no secret to financial officers that having the use of internal dollars for a longer period of time results in more profits. Example: A company who was paying their vendors in 30 days utilized our VIP Program to have us pay their vendors in one day. They then reimbursed us in 60 days. Profit Center: Often, the VIP Program may be implemented in a way which allows us to share the discount with you. Diversity: One of our clients has an agenda to increase their list of active "Disadvantaged/MWBE/Small" businesses but didn't want to change their cash flow management formulas to do so. Many of these small businesses could not afford to do business with our client under "Net 60" terms. The VIP helped them pay their "Diversity Vendors" within one day, resulting in additional bids from minority/disadvantaged firms. Cost/Availability: Some of our clients went to their bank to request a similar program. While the financial institution was willing to execute such a program, there was a substantial cost as well as a decrease in the capitalization "availability" to our client as their financial institution treated the program as a lending line. Our VIP Program is unsecured and at no cost to you. Care: Many companies simply want to help their vendors. However, while the desire to help is there, it is simply not in their best interest to pay their vendors under the terms of "Net 1 Day." Therefore, using our money to do so makes economic sense, especially when you can use our money at no cost to you. Does the VIP take over my payables department? No! All payables will be handled in the way that you manage them at this time. The only changes that your payables office would execute would be (a) Change the payable terms to the new VIP cycle; and (b) Change the remittance address. When your company recognizes invoices as a payable, that data can be electronically sent to us to pay your vendors immediately. It’s a very simple process. The VIP is the true Win – Win program for everyone involved. 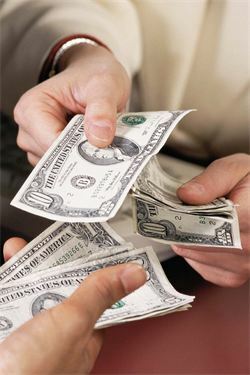 How to get cash to cover your bills and fuel growth, contact us today by clicking the button below.